Obituary for Joseph H. Mariani | Brown Funeral Homes, Inc. It is with sadness that we announce the passing of Joseph H. Mariani, 35, of Woonsocket, RI on August 2, 2018, at Rhode Island Hospital. He was the loving husband to Sara (Brunelle) Mariani of Woonsocket. He was born in Woonsocket, son of Sharon (Wilcox) Mariani of Burrillville and the late Joseph Mariani. Besides his wife and mother he is survived by his daughters, Isabella and Annabella Mariani, stepchildren, Leah and Nancy Dubois and Ryan Bibeault II, all of Woonsocket. Also daughter Serena Mariani and son James Mariani both from Burrillville, sisters, Gina Lambert and Allison Mariani of Burrillville and Julie Mariani of Woonsocket and many nieces and nephews. 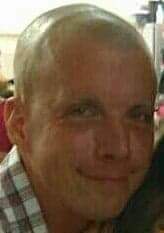 His Funeral Service will be held Saturday at 2pm in the Keene-Brown Funeral Home, 445 Greenville Rd., North Smithfield. Burial will be held privately. Calling hours will be held from 1-4pm. In lieu of flowers donations would be greatly appreciated.